job seekers need to attach a cover letter with their resume. In the cover letter as like resume you have to include your skills which will benefit the particular company that you want to work for. Sending a resume and cover letter show as if you are selling yourself and the employer want to buy you. 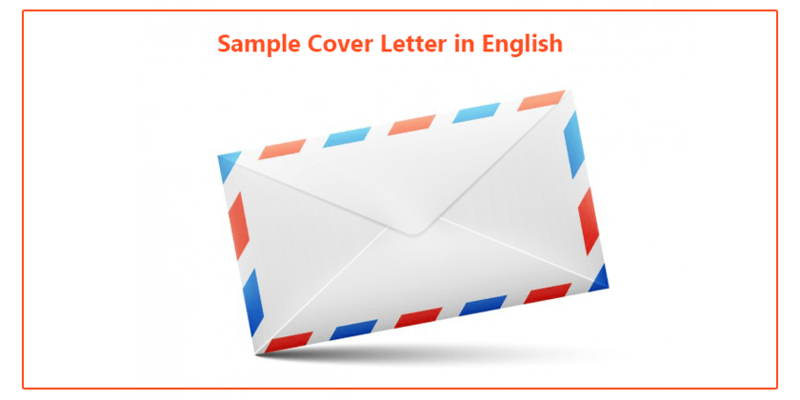 Check out the sample cover letter in English below to get some inspiration to craft your own. It is with great interest that I am applying for the position of chief accountant. When I read the job description of your ad in the New York Times on January 12th, I felt that it was an ideal match with my career aspirations. I have always wanted to work for an outstanding company in the Fortune 500 such as Global Answers. Feel free to contact me and setup an interview at your earliest convenience. You can reach me by way of e-mail at xxxxxxxxx or by way of phone at (555) 555-5555. I look forward to discussing with you my future with Global Answers. Thanks for your time and consideration.